You may have seen summer reading ideas on other web sites, but these books come highly recommended by library staff members. Some of them are in our collection. Now that summer is finally here, I’m excited to have finally dipped into Steven Naifeh and Gregory White Smith’s Van Gogh: The Life, the massive, meticulously researched volume on the painter’s life released last fall. Ten years in the making, the authors, who previously won a Pulitzer for their biography of Jackson Pollack, had unprecedented access to Van Gogh family letters and materials previously unavailable to the public. Vincent was as much an eloquent writer as painter, and the new material is considered by experts to be more revelatory than ever of his inner demons and restlessness. The authors also offer new details of circumstances surrounding his death that contradict long-held beliefs of what transpired. 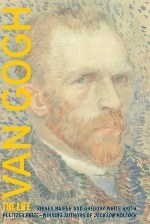 And if 860+ pages aren’t enough for you, the book is accompanied by a website, http://vangoghbiography.com, that allows readers to view much of this new material themselves and provides an extensive bibliography for the authors’ groundbreaking assertions. The book also has its own Facebook and Twitter feeds, so as to continue the conversation with other readers, creating a true 21st century reading experience. It may take this summer and part of next for me to plow through it all, but so far, it’s a highly absorbing read. In The Way I See It, Temple Grandin shares her unique and memorable perspective on autism. This year’s Teaching and Learning Strategies at Villanova workshops included an uncommon session: “On the Spectrum and in College… Asperger’s on Campus – Overview of Asperger’s Syndrome …” Asperger’s Syndrome is a part of the autism spectrum, and autism has certainly been in the news lately. An ever increasing percentage of our population is being diagnosed as having elements of autism. For those of us who work with students, this means we will and do encounter students who live with autistic traits. We may have gleaned some understanding of autism watching Rain Man or reading The Curious Incident of the Dog in the Night-Time, for instance. With those stories, talented writers used their imaginations to show us what it’s like to live with autism. But in her book, The Way I See It, Temple Grandin, PhD, writes from the perspective of someone who is autistic. Growing up in the 1950s, Dr. Grandin did not speak words until four years of age and appeared destined to live her life in institutions. Her determination to either use her autistic challenges to her benefit or learn to compensate for them will provide readers insights and inspiration. If these titles are not available in Falvey, try E-ZBorrow or interlibrary loan. Natasha Solomon’s ‘House at Tyneford.’ Excellent read. Thank you so much for the staff recommendation for The Lost Saints of Tennessee! I loved everything about The Lost Saints of Tennessee – especially the characters. I had a hard time putting this book down. I really hope there is another novel in the works!